Written on 19 June 2012 . 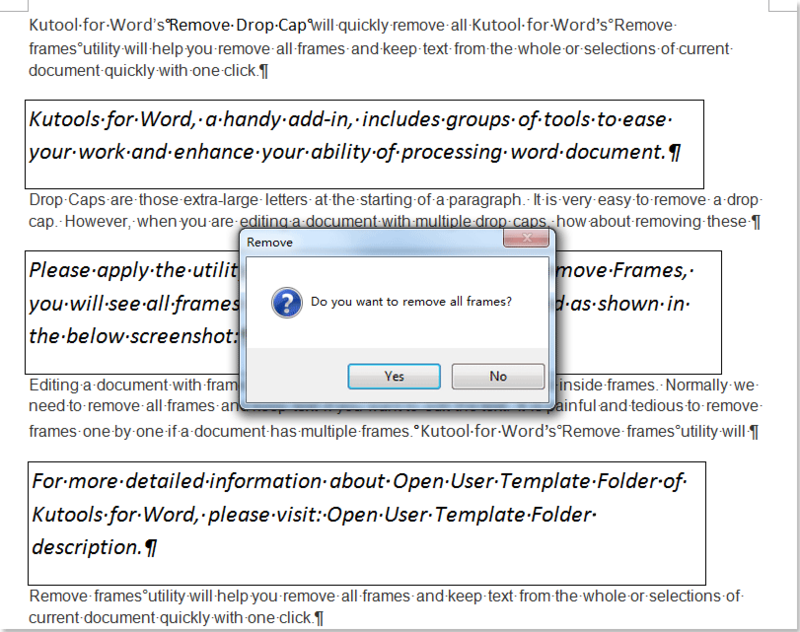 If you want to remove all frames and keep text from word document, how could you quickly remove all frames and keep text in your document? 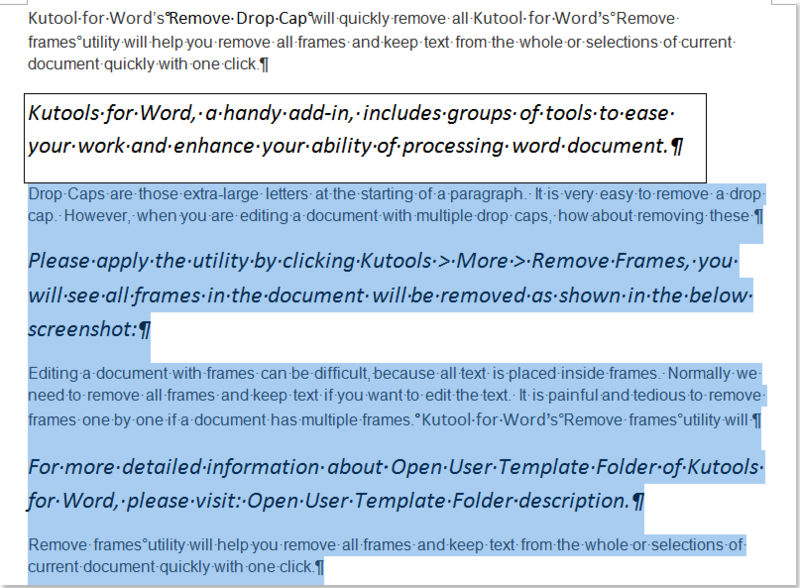 Kutool for Word’s Remove frames will help you remove all frames and keep text froma part of or the whole document. 1. Open the document that you want to remove all frames and keep text, and then applying this uitlity by clicking Kutools >> More >> Frame >> Remove Frames. 2. 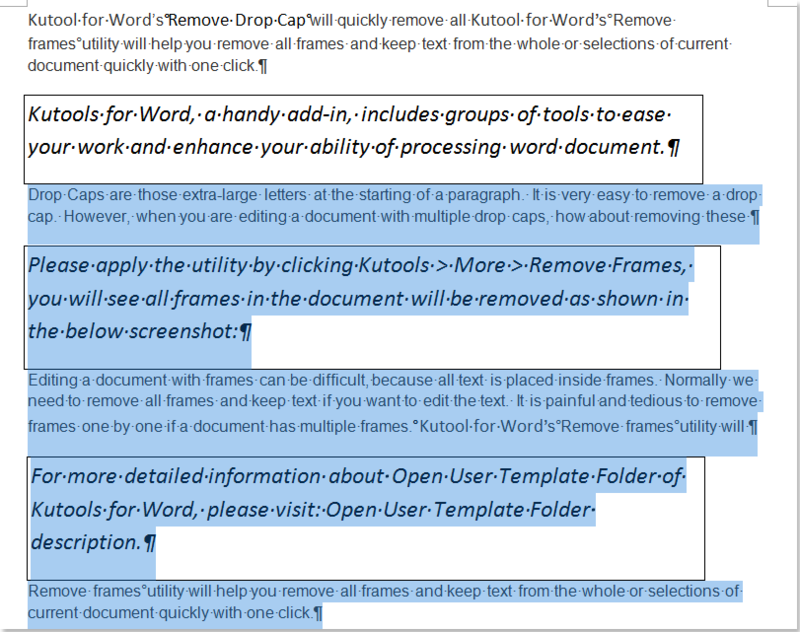 Click Yes button, it will remove all frames and keep text in the word document as shown in the below screenshot. 1. 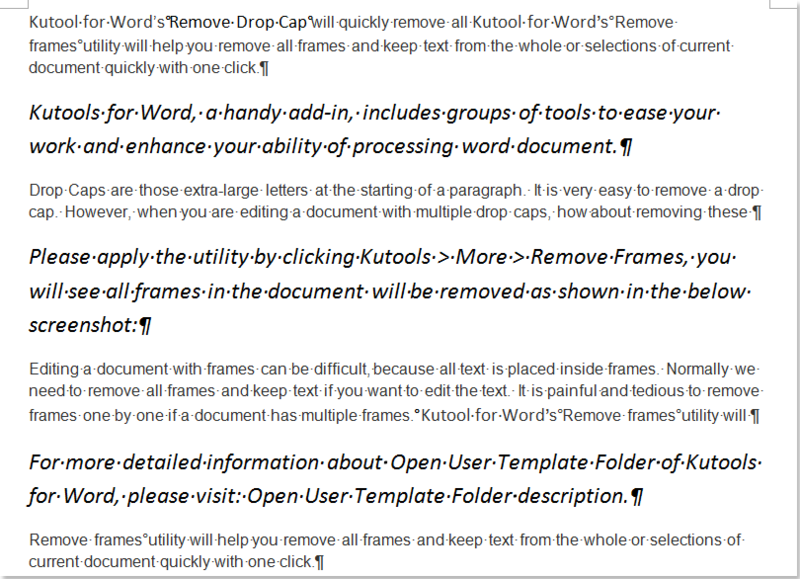 Open the document and select a part of the document that you want to remove all frames and keep text first, and then applying this uitlity by clicking Kutools >> More >> Frame >> Remove Frames.